My Pinnacle Network – Westborough, Tuesday, March 5, from 8 a.m. – 9:30 a.m at Digital Federal Credit Union, 18 Lyman Street, Westborough, MA 01581. My Pinnacle Network – Mansfield, Wednesday, March 6, from 8:30 a.m. to 10:00 a.m., Mansfield BioIncubator, 241 Francis Avenue, Mansfield, MA 02048. My Pinnacle Network – Pembroke, Thursday, March 7, from 9 a.m. to 10:30 a.m., ACTSmart Training Center, 70 Corporate Park Drive, Suite 1225, Pembroke, MA 02359. My Pinnacle Network – Needham/Newton, Thursday, March 14, 7:30 a.m. – 9 a.m. at Bullfinch Group, 160 Gould Street, Needham, MA 02494. My Pinnacle Network – Braintree Third Thursday, Thursday, March 21, from 7:30 a.m. – 9 a.m. at 100 Grandview Road, 3rd Floor Conference Room, Braintree, MA 02184. When you join a networking group, the benefits abound. Let’s start with having a quasi sales force out there looking for leads for your business. You also have a sounding board to run ideas and issues by. That can be a huge thing for solopreneurs. But one of the more under-utilized assets of being in a networking group is social media content. Think about it. What’s one of your biggest issues with running a social media site? Coming up with content. By being in a networking group should give you access to fellow members’ content. It’s pretty simple to like someone’s page, connect or follow, right? So, if you’re in a pinch and need some content, check out what your fellow networkers are posting. Maybe it’s something you can share on your page. Be sure to credit your fellow networker so you can introduce him/her to your audience as well. Who knows? That might lead to some business for them. If you haven’t done so already, please connect with My Pinnacle Network on Facebook, Twitter and LinkedIn. Our posting habits vary. At the very least, we post this weekly newsletter you’re more than welcome to share with your audience. Also, if you have a blog post you would like to share with our My Pinnacle Network list of B2B professionals and business owners, please forward to admin@mypinnaclenetwork.com. Nominations sought for the 4th annual My Pinnacle Network Networking Ninja awards. The old “can you hear me now?” ads for Verizon emphasized the power of a cellular network. Yet ask any business owner or B2B professional and they will tell you that a network of contacts can be even more powerful. That’s partly why My Pinnacle Network, a business-to-business networking group with monthly meetings in Braintree, Mansfield, Needham, Pembroke, Plymouth and Westborough, MA, recognizes the region’s best B2B networkers with its annual Networking Ninja awards. For the fourth annual awards, My Pinnacle Network is seeking nominees in the following categories: Best Connector (helping bring people together); Most Ubiquitous (appears to be at every networking event); Most Altruistic (does most for others); and Brightest Beacon (adds energy to networking events). You can vote for your favorite B2B networker by clicking on the link on the My Pinnacle Network home page. Voting began on February 15 and will end on March 31. Nominees must be B2B professionals or small business owners whose customers are other businesses. Non-My Pinnacle Network members are also eligible. Winners will be announced on Tuesday, April 16 at a joint networking event with My Pinnacle Network and the South Shore Networking Professionals Group (https://ssnpg.com) at the Cask N Flagon, 840 Plain Street, Marshfield, MA. Winners will receive a customized trophy, in addition to recognition at an My Pinnacle Network event and promotional materials. 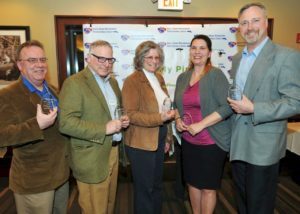 Last year’s winners were: Carmella Beroth, of Debt Management, Inc. in Mansfield, MA, took home the honors as Best Connector. Sheldon Prenovitz of Concord, MA-based ConnectPay won the Most Ubiquitous Networking Ninja Award. Brian MacFee of System Support in Marshfield, MA won the Brightest Beacon honors. Lois Drukman of Walter May Insurance in Hingham, MA won the Most Altruistic Networking Ninja Award. 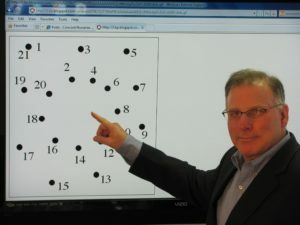 For information about the Networking Ninja Awards, please visit https://www.mypinnaclenetwork.com/Ninja/, or contact Steven V. Dubin at SDubin@MyPinnacleNetwork.com or 781-582-1061. My Pinnacle Network – Westborough, Tuesday, February 5, from 8 a.m. – 9:30 a.m at Digital Federal Credit Union, 18 Lyman Street, Westborough, MA 01581. My Pinnacle Network – Mansfield, Wednesday, February 6, from 8:30 a.m. to 10:00 a.m., Mansfield BioIncubator, 241 Francis Avenue, Mansfield, MA 02048. My Pinnacle Network – Pembroke, Thursday, February 7, from 9 a.m. to 10:30 a.m., ACTSmart Training Center, 70 Corporate Park Drive, Suite 1225, Pembroke, MA 02359. My Pinnacle Network – Needham/Newton, Thursday, February 14, 7:30 a.m. – 9 a.m. at Bullfinch Group, 160 Gould Street, Needham, MA 02494. My Pinnacle Network – Braintree Third Thursday, Thursday, February 21, from 7:30 a.m. – 9 a.m. at 100 Grandview Road, 3rd Floor Conference Room, Braintree, MA 02184. It does happen. People get sick. Cars break down. Kids miss buses. The people close to us, for any number of reasons, need us. Yet how you act after a missing a meeting can make just as big of an impression on your fellow members. That’s right. Even a missed meeting can be an opportunity. Here’s a couple of ways. Double or triple up on your one-on-ones for that month. If you think about it, missing a meeting is like missing 12-20 mini one-on-ones where you have the chance to learn more about people in your networking group. 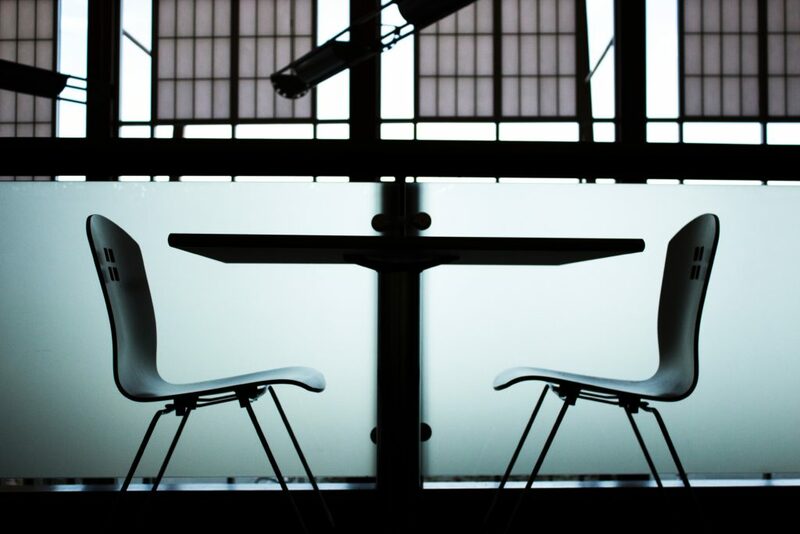 Doing two or three one-on-ones before the next meeting is a great way to catch up. Additionally, your fellow members will appreciate the initiative and may follow suit if they should miss a meeting. This one needs a little explaining. The gist is offer to the group leader to follow up with guests who attended the meeting you missed and see what they liked about the meeting and if they would either like to return or join. This may seem a little unorthodox on the surface. Yet it does make a statement to the guest about the group and the kind of people in it that somebody who wasn’t at the meeting would go to that effort. For the person who did miss the meeting, it does allow them to make up a little of what they missed. It’s also a great help to the group leader. Maybe somebody in your group recently met somebody who could be a possible source of business for you. Seeing you each month is a reminder. If they don’t see you at the meeting, it may not be front of mind for the next time they see you in two months. Perhaps there was a guest at the meeting who might also have been a good referral source or even source of business. If they don’t join, you will never know. Nobody likes to miss a meeting. What you may not realize is how much you and every person in the group brings to the meeting. So when you are not there, the group does miss something. So do you. These suggestions are a couple of ways to help you fill in some of what you missed. When it comes to one-on-ones, F.U. That stands for follow up. You can schedule all the one-on-ones humanly possible. Without following up on the action items discussed during your one-on-one, the entire meeting is pointless. Last week’s e-newsletter talked about some of the musts for one-on-ones. One of those was concluding the meeting with next steps or action items. So, if you say you’re going to introduce the other person to somebody in your network that means putting a timetable on it—I will introduce Steve to Jonathan within three business days. Part two of that timetable is if Steve doesn’t hear anything from me or Jonathan, then Steve should follow up with me and ask if I have done anything yet. This follow up on Steve’s part should be after three business days. There’s two tips involved here. First, take action on your action items ASAP. As soon as you get back to the office if possible. Procrastinating on these things takes away from the positive momentum you will probably have from the one-on-one. It can also make you look like the person who talks a good game in a one-on-one but doesn’t back it up. Second, if you don’t hear back from somebody after the agreed upon action items and timetables, do not be afraid to give that person a call and ask what’s up. We all get busy. There probably was no intent to neglect. Still, you should make the call to continue the momentum of the one-on-one and demonstrate to the other person that you are serious about passing leads and referrals. That said, make sure you have acted on your action items as well before making that call. Think of the follow up as the bit on the old Seinfeld episode when Jerry went to the airport and found out his reservation for a car rental did not guarantee a vehicle. As a great of a meeting as you might have had during the one-on-one, you have to do the follow-up in a timely fashion for it to have real impact. That really is the most important part. My Pinnacle Network – Pembroke, Thursday, January 3, from 9 a.m. to 10:30 a.m., ACTSmart Training Center, 70 Corporate Park Drive, Suite 1225, Pembroke, MA 02359. My Pinnacle Network – Westborough, Tuesday, January 8, from 8 a.m. – 9:30 a.m at Digital Federal Credit Union, 18 Lyman Street, Westborough, MA 01581. My Pinnacle Network – Mansfield, Wednesday, January 9, from 8:30 a.m. to 10:00 a.m., Mansfield BioIncubator, 241 Francis Avenue, Mansfield, MA 02048. My Pinnacle Network – Needham/Newton, Thursday, January 10, 7:30 a.m. – 9 a.m. at Bullfinch Group, 160 Gould Street, Needham, MA 02494. My Pinnacle Network – Braintree Third Thursday, Thursday, January 17, from 7:30 a.m. – 9 a.m. at 100 Grandview Road, 3rd Floor Conference Room, Braintree, MA 02184.